Add your store to Facebook! You now have the ability to create a Facebook "Shop Tab." This allows Facebook users to browse your entire catalog and make purchases, without leaving Facebook! Your Facebook page MUST have a normal profile associated with it to be an admin user for the page. This means you MUST log into your personal profile and NOT login directly to your business page. NOTE: If you are using a shared SSL and your store contains .americommerce.com at the end of the domain - DO NOT use your .com domain. Before set up, check in your store settings under Setting > Store Information > Advanced Settings and see where your SSL domain is coming from. 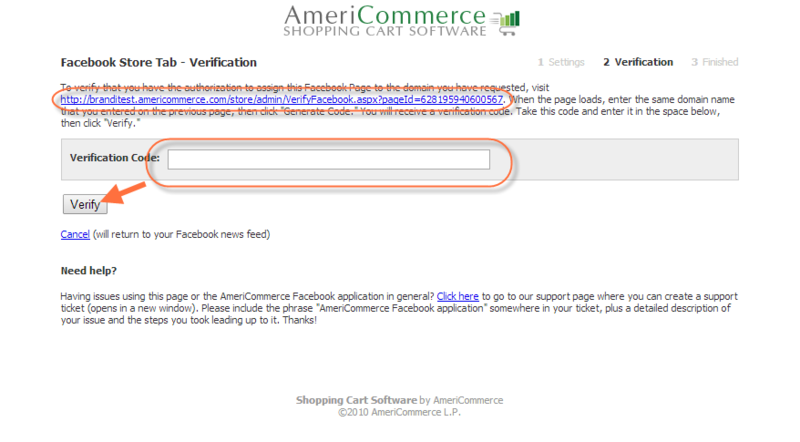 You will have to enter your store url as yourstore.americommerce.com. If you are on your own SSL and you do not see .americommerce.com in the SSL domain area, you're good to go. Once the store domain has been added to Facebook, there isn't a way to change this. A support ticket must be created for further changes. If you have an error on your store such as this one below, submit a request to have this fixed. You can make any theme a Facebook theme. Just activate it in the Global Theme Settings and change the Theme Type to "Facebook". That way you can make a specific theme just for your facebook store. This allows for further customization and the look and feel you want. You can even clone your current theme and make it the facebook theme. Note: This theme is customizable but not a new responsive theme using bootstrap and the like. This is a V1 Legacy Theme and doesn't have the new updated asthetics as the other new released themes. 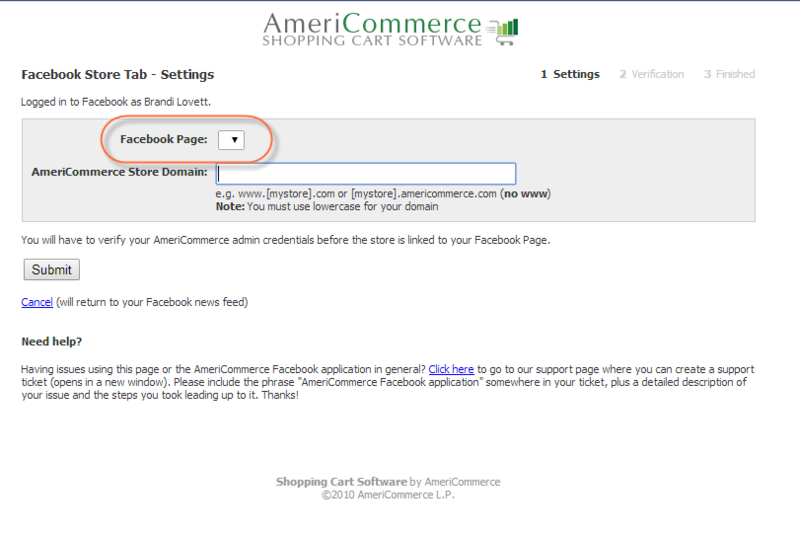 In the AmeriCommerce Administration Console add any "Facebook" theme to your store by clicking Themes > New. Find any Facebook theme template and click on it and add it to your store. Click "Add" at the top right. Set the default Facebook theme to the theme you just added by going to Stores > Your Store Name > Store Settings. Find the Setting that says Facebook Theme and select the theme you just added. Save the Store Settings page. Click the Newly added Shop tab and click the link to configure. 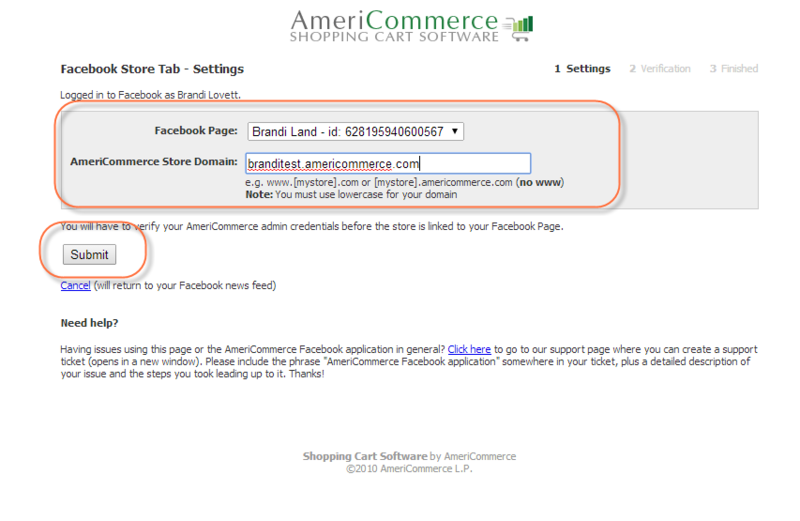 Select your Facebook page from the dropdown list and enter the domain name of your storefront. If the dropdown for the Facebook page is empty make sure you are allowing pop-ups for that page. You'll need to allow the Facebook Application access to your page. Click the link to verify your AmeriCommerce online store. 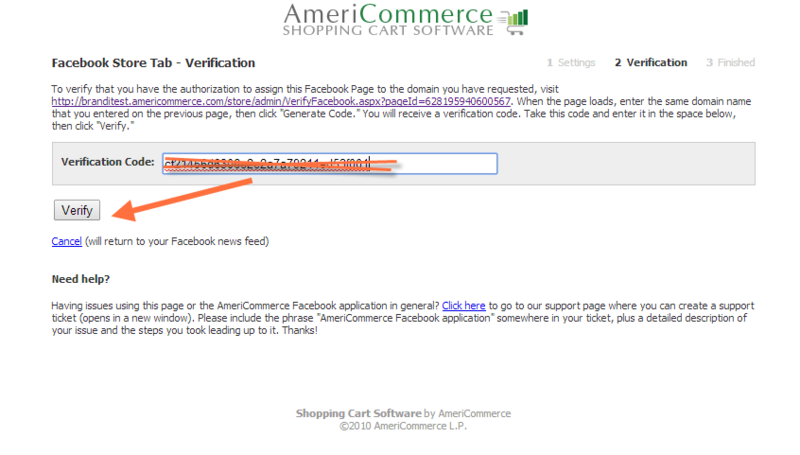 This will take you to a page on your AmeriCommerce online store to generate a validation code. Enter your Domain name for your store and click Generate Code. You can then click the icon to the right of the code to copy it to your clipboard. Paste your code back into the box on Facebook and click Verify. Congratulations! 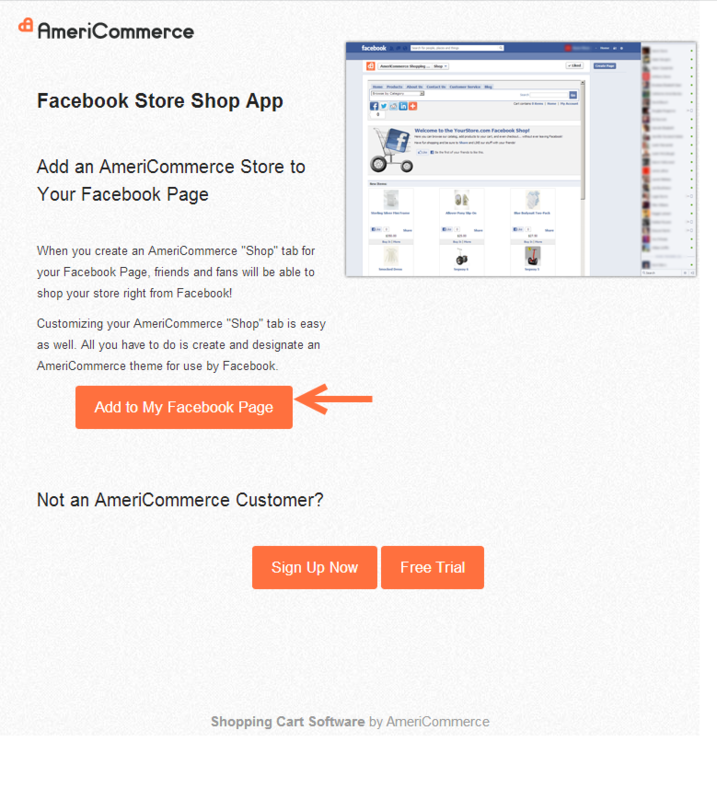 Your AmeriCommerce online store is now on the Shop tab of your Facebook Page. NOTE: Customers will be able to order from your Facebook page, even if you de-activate your main theme.